New York: A team of researchers led by the University of Georgia has identified several biological markers that make it possible to classify psychotic or mental disorders with greater precision. The findings may lead to improved diagnostics and treatments for those suffering from mental illness. 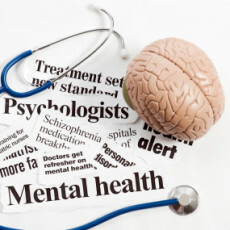 “Psychiatry still relies on symptoms as the basis of a diagnosis. It would be like using the presence of fever to diagnose a specific infection. We need some means to help us more accurately differentiate mental disorders,” explained study’s lead author Brett Clementz, professor of psychology. Clementz and his colleagues created an experimental programme that uses neurobiological measures rather than symptoms to identify disease types. They focused exclusively on patients suffering from psychosis – a broad category of mental disorder that includes schizophrenia, schizoaffective disorder and bipolar disorder with psychosis – to see if they could improve upon existing methods. The research team recruited more than 700 patients with psychosis and some of their first-degree relatives –a parent, sibling or child – as well as a control group of healthy individuals. Each participant went through a battery of tests designed to assess their cognitive abilities. “We were better able to predict who had family histories of psychoses, structural brain abnormalities and measures of social functioning,” Clementz noted. This project may inspire a renewed interest in psychiatric drug development, which has been stymied recently by a lack of clear biological targets. “We are a long way from identifying specific disease mechanisms but we are a step closer than we were when we focused on clinical symptoms alone,” the authors noted in the American Journal of Psychiatry.